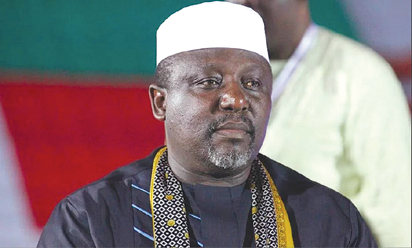 Owerri—The Imo State All Progressives Congress, APC, 9-man Disciplinary Committee, yesterday recommended that Imo State Governor, Rochas Okorocha, should be expelled from APC for engaging in anti-party activities. The letter from the disciplinary committee was made available to Vanguard in Owerri and was signed by the committee chairman, Matthew Omeghara and Secretary, Mr Kevin Ugwu. According to the committee, Imo state governor could not appear before the committee and did not put in writing any reasons for his absence.